Rose red(15 pt. ), Gypsophila white(3 pt. ), Tape(1 pt. ), Packing(1 pt. 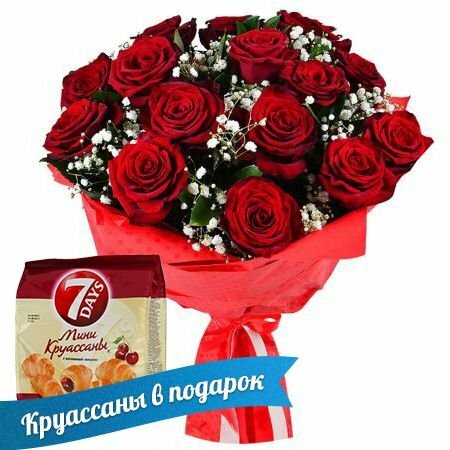 ), Pack of croissants 175 g(1 pt.). 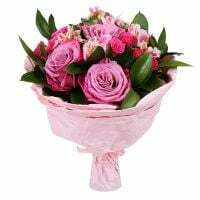 Birthday, Colleague, For her, For mother, For young lady, Gratitude, I Miss You, Recover, Sorry, Wedding flowers, With love, Аnniversary. 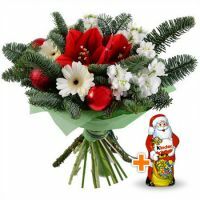 decoration of the products may differ from the photos on the site, presented as an example. in the case of absence of this product it may be replaced by the similar one. Very disappointed with their service and I will not recommend anyone using them. 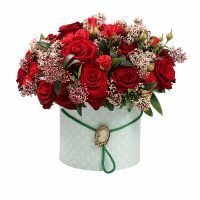 Flowers ordered for valentine arrive 2 days LATE and are pathetic to look at. Shame on their staff for being so unprofessional. Manager response: Our courier traveled on delivery, but the recipient was not at home. A phone that you gave - it is not right. 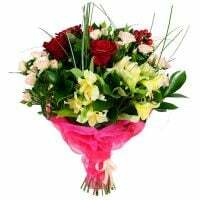 We make the delivery today of a fresh and beautiful flowers after you said to deliver flowers to her mother. Everything was perfect. Thank you so much for your service!! Manager response: Dear Todd, thank you for your review! Have a great day! Thanks team, you are amazing. My lady is very happy and it's because of the care you take to make it special. Thanks again)). Manager response: Dear Stephen, thank you for placing order on our web site! We are pleased to help you! Fantastic service! 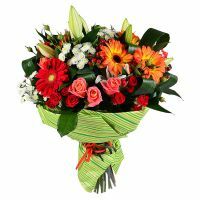 I always use ua Flowers because they are reliable and have the best prices! Manager response: Thank you! We are going to do our best to help you with the orders! 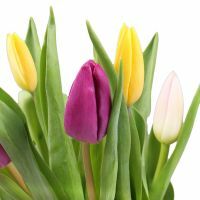 Manager response: Dear Tahir Atasay, thank you for the feedback! We are going to use it. Hope to cooperate with you in future! I know you will help me Fox the payment issue. I had never experience this situation, which would not prevent me from sending flowers. Big thanks ! Manager response: Enrique, thank you for using our service!